Her debut album String was long listed for the Taite Music Prize 2015. Poetic, honest and haunting vocals hark back to her Celtic folk roots. The body of work was largely written during her time traveling through SE Asia and Europe. “I wanted to evoke images of the vast and diverse landscapes I was seeing, while capturing stories of love lost and found”. Through the recording process, producer and musical genius James Duncan (Dimmer, SJD, and Punches) was able to work his magic to create lush soundscapes made up from strings and percussion, while keeping Monique’s lyrical vocal in the forefront. 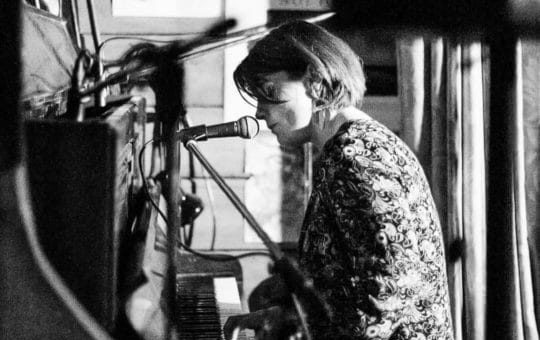 The collaborative nature of the project allowed her to develop her songwriting and style, moving from folk into dream pop. “I wanted to create an album that was emotionally loaded lyrically but didn’t leave the listener feeling heavy”. “I had just left a long term relationship during the writing phase and was trying to come to terms with the idea of lust being this fluid ever changing beast”. Monique is currently planning a national tour for late summer 2019, you can find her music online.